Learn the truth behind these common cyber security misconceptions. 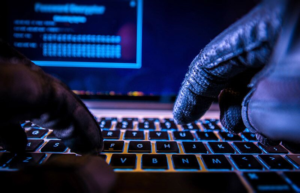 When it comes to data breaches and cyber attacks, there are many commonly accepted myths amongst small business owners. These misconceptions often result in business owners failing to protect against cyber risks and subsequently falling victim to cyber criminals. To ensure that this does not happen to you, here is the truth behind some of the most common cyber security misunderstandings. While data breaches and cyber attacks against big-name corporations receive a lot of media coverage, this does not mean that smaller businesses do not also fall victim to cyber crime. In fact, research shows that approximately 40% of all cyber attacks actually target companies with 500 employees or less. When it comes to cyber attack, no business is safe, so it’s important that you secure the necessary safeguards for your company. Another common misconception that many business owners have is that their other insurance policies will offer coverage for cyber liability issues. Unfortunately, this simply isn’t the case. Generally, policies specifically include cyber liability risks from coverage. The only way to secure the comprehensive cyber protection that your business needs is with a specialized cyber liability insurance policy. As with any other type of commercial coverage, cyber liability insurance requires the policyholder to pay regular premiums. While there is no way around this cost, it’s important to understand how much your business stands to lose if you forgo this protection. If your business is the victim of a cyber attack, then you would be responsible for the cost of informing your customers, recovering compromised data and identities, credit monitoring, repairing affected computer systems, and all the lawsuits filed by affected parties. Altogether, these costs are staggering and could be enough to send your business into bankruptcy. However, with the right cyber liability coverage, you can ensure that the costs of a cyber attack do not affect your company’s bottom line. So, while cyber liability insurance in an investment, it is a more than worthwhile one. This is the truth behind some of the most common cyber security misconceptions. Interested in learning more about what the right cyber liability insurance can do for you? If so, then contact the experts at VGW Walker Insurance in Texas. Our dedicated team is eager to assist you with all your coverage needs today.